Protect your pool table with our NEW licensed DIRECT DIGITALLY PRINTED collegiate billiard table cover. These covers are offered in standard and premium grades. Our Premium Heavy Duty Pool Table Cover is unparalleled! Expert craftsmanship and a great value. Made from premium 30 oz marine grade vinyl, while our Standard Pool Table cover is made from 22 oz. vinyl. 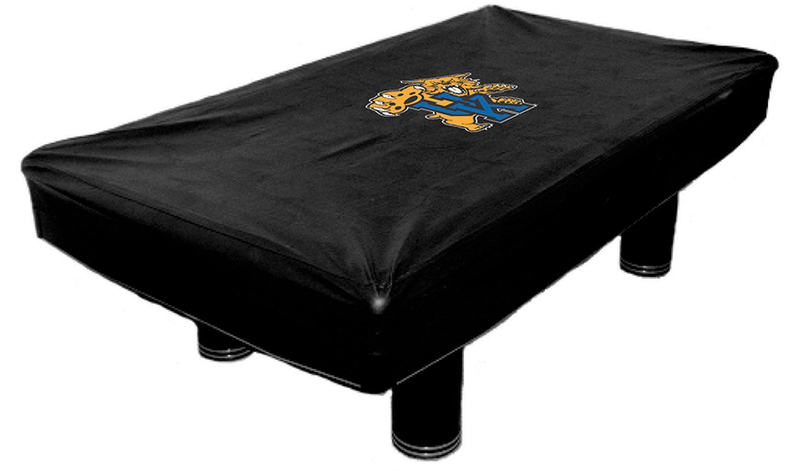 Protect your pool table with our NEW licensed DIRECT DIGITALLY PRINTED University of Kentucky billiard table cover. These covers are offered in standard and premium grades. These covers show off your team spirit while they help repel harmful dust, spills, and leaks. The logos are direct digitally printed to offer you a licensed collegiate cover made to last. These high-quality covers are available in 3 different sizes* to form fit your table. They also have double stitched reinforced corners for better durability with a woven backing to prevent fuzz and debris from getting on your table.